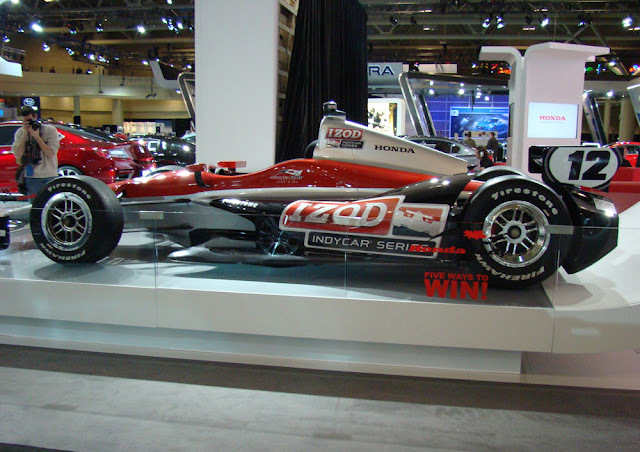 The season-opening race for the 2012 IZOD INDYCAR Series will the site for a multitude of firsts. Not only will the Honda Grand Prix of St Petersburg be the first event for the new season, the 2012 IZOD INDYCAR Series event will be the first race with the all-new Dallara DW12 race chassis as well as the return of engine competition as Chevrolet and Lotus set to do battle with established player Honda Racing Development. With a 26-car field arriving to compete in the 2012 Honda Grand Prix of St Petersburg, there are veteran drivers in new team colours and rookie drivers set to get initiated with their first IZOD INDYCAR open wheel series competition on Sunday March 25th. Canadian driver and 2011 IZOD INDYCAR Series Rookie of the Year James Hinchcliffe joins the top-flite operation of Andretti Autosport. Hinchcliffe's teammate of 2011 Oriol Servia is now driving for Dreyer & Reinbold Racing. Two-time pole winner in 2011, Takuma Sato sailed to Rahal Letterman Lanigan racing as KV Racing Technology shifted from Honda to Chevrolet power in 2012. Some notable newcomers to the 2012 IZOD INDYCAR Series tour at St Petersburg is English driver and former Champ car contender Katherine Legge as well as long-time Formula 1 superstar Rubens Barrichello. Still residing in the same teams from last year, Tony Kanaan and Ryan Briscoe take on new numerical identities in 2012. KV Racing Technology regains Tony Kanaan's #11 the Brazilian held during his long tenure at Andretti Autosport spanning from 2003 ending in 2010. Penske Racing swaps the number of Ryan Briscoe's car from #6 to #2 in 2012. Not only does Penske Racing hold the #2 in the NASCAR Sprint Cup series, the organization has enjoyed success with the number through open wheel racing. In the CART/Champ car series, Gil de Ferran won the 2000 championship riding the #2 on his vehicle. St Petersburg will also be the first INDYCAR event since the tragic loss of Dan Wheldon on lap 12 at Las Vegas Motor Speedway. The transplanted home of the late INDYCAR superstar, Wheldon's memory has been honoured earlier this month with naming of the turn 10 component of the St Petersburg street course as "Dan Wheldon Way". There is also future plans for a permanent monument to Wheldon's racing and life achievements added to the St Petersburg area.